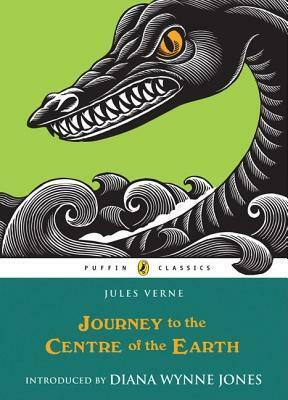 After finishing Journey to the Centre of the Earth, I was still in the mood for a some good adventures. I remembered a copy of The Phoenix and the Carpet by E. Nesbit that I'd picked up years ago at a library sale. How is it that I completely missed out on Nesbit in my youth? I suppose my hometown library just didn't have them. Well, I've now completed five of her books and loved all of them. This one ranks right up at the top of great classic children's fantasy, right up there with the Wizard of Oz books and the entire oeuvre of Roald Dahl. 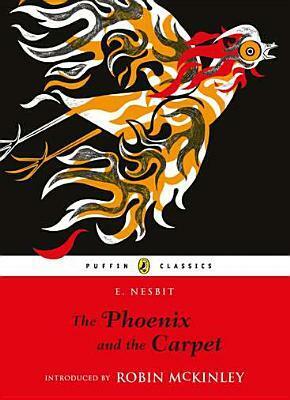 Published in 1904, The Phoenix and the Carpet is the second in the series of that began with Five Children and It. 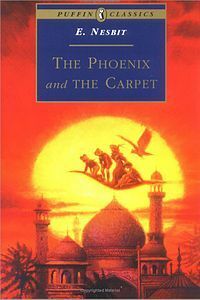 Instead of a magical sand fairy, the a family five children find both a magic carpet and a magical bird, a legendary phoenix. By a series of mishaps (well, basically, they decide to try out fireworks inside the house) they have to get a new carpet for the nursery. Their parents buy a second-hand carpet which, when unrolled, is found to include a strangely glowing egg. The children attempt to return it, but no go. After the egg accidentally rolls into the fireplace, it hatches and out comes the phoenix, who explains that the carpet is also magic, and can give them three wishes a day. If you're looking for serious high fantasy, this isn't it. Although the children are occasionally transported to faraway places, their adventures are pretty tame, though humorous. As in Five Children and It, the children quickly realize that wishes don't always work out quite like you plan. Of course it's a children's story, so most everything comes out right in the end, but Nesbit's chapters are cleverly plotted, so I really wasn't sure how everything was going to shake out. And the writing is both wry and witty, with a few sharp observations. It's both entertaining and funny as the kids get in and out of scrapes. My only quibble as that in some their adventures, they encounter "savages" who are quite obviously people of color, and the racism that tinges these episodes. Overall, though, it was quite a delightful read, and tI'll probably include it among my favorite books of this year. I'm counting it as my Fantasy/Sci-Fi/Dystopian Classic for the Back to the Classics Challenge. So, if you were wondering about the plot, it is exactly as the title states. After finding an ancient code tucked in an old book, Young Axel and his eccentric scientist uncle, Otto Liedenbrock, leave their comfortable home in Hamburg and attempt to explore the center of the world, via a volcano in Iceland. Axel nervously agrees to the crazy scheme, believing there's no way they will actually get that far. But clearly, they do, and make astonishing discoveries along the way, with the help of an Icelandic guide named Hans. The first quarter of the book are pretty standard let's-go-on-a-trip with all the preparations, sea voyage, and encounters with a different culture. 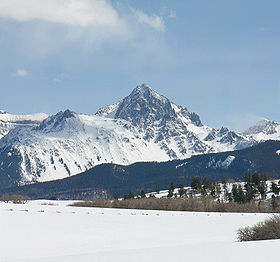 But eventually, they make their descent through an dormant volcano, Sneffels, (better known in Iceland as Snaeffelsjokull). The actual Snaeffelsjokull in Iceland. Things get pretty interesting after they descend into the a series of underground caverns, with dangers and discoveries and miraculous escapes (of course). Suffice to say it's all slightly ridiculous to the modern reader, but for its time, it must have been pretty fantastic. I'm not sure how this version compares to others (this one was translated in 1965 by Robert Baldick) but it was a quick, easy read. I do know that a lot of the translations in English made a lot of abridgments -- one audio version actually changes the names of the characters completely! But I mostly liked it, though in retrospect, the characters weren't very practical about planning and packing for the journey, and there's one part that's sort of racist which I found a little annoying. There's also a lot of geology and such that I will admit I mostly skimmed. A couple of years ago I tried listening to an audiobook of 20,000 Leagues Under the Sea, but I eventually gave up on it -- after awhile I got bored and I remember it just seemed like a lot of lists of undersea flora and fauna. I did get a bit of that in Journey to the Centre of the Earth as well -- I know Verne did a lot of research and I can only guess that he wanted to pack everything in. I'm afraid I did tend to skim over a lot of the scientific details of this book, especially the parts about calculating depth and suchlike. However, it has inspired me to consider visiting the Natural Bridge Caverns, which are just a short drive away. 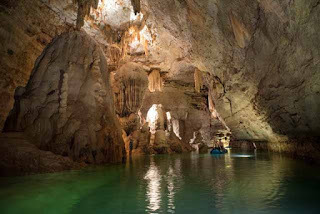 Underground lake in Natural Bridge Caverns. I had originally intended to count this as my Classic Science Fiction choice for the Back to the Classics Challenge, but I don't know that I'd necessarily call it sci-fi -- though one could call it that because of the speculative nature of their discoveries, I'm really more inclined to count it as my Adventure Classic -- really, most of the book is taken up with exploration and discoveries (though if someone else wants to count this as their Science Fiction Classic, that's fine with me). Wilkie Collins is really well known for his early detective novels, and his Victorian sensation stories. His most famous novels by ar are The Moonstone and The Woman in White, by he was quite a prolific author. Two of the books I added to my Classics Club list are from his lesser-known works; I read and enjoyed No Name just a couple of months ago, so I was eager to read Armadale. 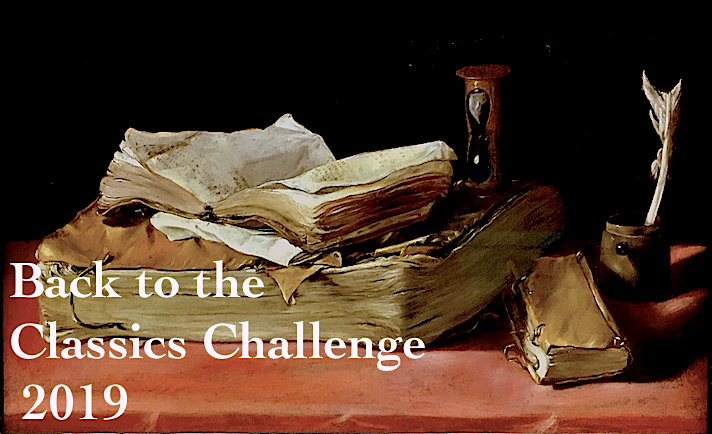 I'd planned originally to count this as my 19th Century Classic for the Back to the Classics Challenge. Some of Wilkie Collins' works definitely qualify to count as Detective Fiction (especially The Moonstone and The Woman in White), but I wasn't sure about this one. However, this book involves a lot of private investigating, plus they do mention Scotland Yard, so I've decided this will count as my Classic Detective Fiction. The plot of this novel is really hard to sum up quickly. For convoluted reasons, there are two men who are named Allan Armadale, as were both their fathers. The story begins with the father of one of the men making a long deathbed confession as his toddler son plays nearby. After his father's death, this Armadale takes the name of Ozias Midwinter, after a foster father (which is very convenient for the plot, since it makes them easier to tell them apart. When he comes of age, he learns his father's terrible secret, which involves the father of the other Allan Armadale. Due to the miraculous coincidences of the Victorian sensation novels, Midwinter has by chance befriended the other Armadale, and come to love as a brother. He is horrified and vows never to reveal the secret to his dear friend. Unfortunately, there is one other person in the world who knows the secret -- a villainous woman named Lydia Gwilt, who decides to use this secret to her advantage. There are few women in literature who I believe were created with such villany as Lydia Gwilt. She is a temptress, a schemer, a manipulator, and an all-around Jezebel. She makes Scarlet O'Hara look like a pushover in comparison. Seriously, if I had to make a list of Top Ten Literary Villains, she would be on it, and probably at or near the top of the list. Overall, there really aren't any positive female characters in this book, now that I think about it. Most of the men are pretty awful too. Overall, I did enjoy this book, but it took me an awfully long time to finish it -- almost a month, compared to a relatively short ten-day read for No Name. It started out pretty well, but the middle really dragged for me. I think I got really annoyed with both Armadales and their relationship with Miss Gwilt -- they were such pushovers for a pretty face. Most of the men in this book were just putty in her hands; also, there's a young ingenue named Miss Milroy that was straight out of Dickens, she was so annoying. I was rather surprised after reading about the strong female characters in No Name. Also, I found the ending of the book to be overly dramatic and rather convoluted, as well as rather predictable. 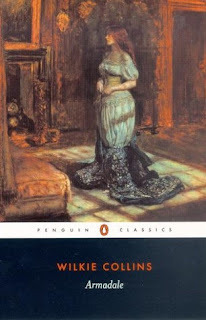 Overall, not my favorite by Wilkie Collins, but not a terrible read. I still want to read Basil and some of Collins' other works. And has anyone else read something by Wilkie Collins? I've read four of his novels so far. Which do you recommend? 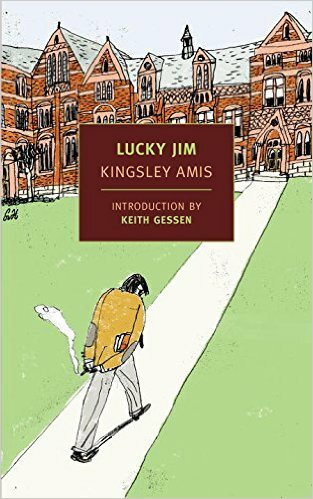 I'm down to the last few books on my Classics Club reading list, and I was pleased when the most recent Classics Spin chose my latest read: Lucky Jim by Kingsley Amis, a satirical look at life for a hapless college lecturer who can't help getting his professional and personal life intertwined, with disastrous results. 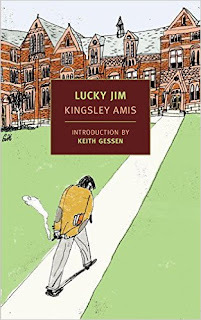 Set in the early 1950s, the protagonist, Jim Dixon, is a lecturer of Medieval Studies at a nameless British university. He's desperately trying to hang on to his job, and a weekend at a his supervising professor's house throws him in company with the his boss's son Bertrand, a pretentious artist; and Bertrand's latest conquest, a charming bookseller named Christine. Dixon falls hard for Christine but a series of embarrassing mishaps pull Dixon deeper and deeper into a spiral he can't escape. I'd heard this one was one of the funniest books of all time, but it actually took me three tries to finally make it past the first chapter of this book. I think I had a hard time with this book the first two tries because Dixon himself is not a very likable characters -- he seems to be someone who's always just getting by without putting any effort it, something of a slacker. He's only teaching Medieval studies because no one else wanted it. Amis does really have a knack for making every situation seem real, no matter how contrived and bizarre, starting with a hilarious incident in which Dixon is trying to cover up damages he's done to his guest room on the initial weekend. Things eventually go from bad to worse Dixon becomes embroiled in a series of love triangles which are unfortunately entwined with his professional life. I really disliked Dixon's character at first and thought it was just a book about disaffected and annoying academic types, but about halfway through the book, I really started to root for Dixon. I don't want to give anything away, but something changes his life and makes him start to be a better person. There's an extended scene in the middle which turns the whole story into something great. 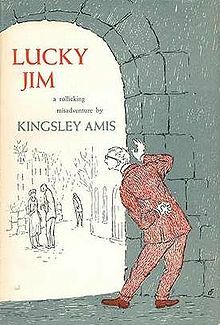 I ended up loving Lucky Jim. In a way, it's kind of the flip side of the academia one finds in Barbara Pym, and a very little bit like Wodehouse, though Dixon is much snarkier and has a mean streak you won't find in Jeeves and Wooster. It's a different sort of British comedy than I'm used to reading and I'm very glad I gave it another try. I'm also counting this as my 20th Century Classic for the Back to the Classics Challenge.